Toothbrushes are constantly evolving as more and more people are becoming aware of the importance of taking care of their teeth. From ordinary toothbrushes and electric toothbrushes to sonic electric toothbrushes, we are seeing more options than ever for dental hygiene. 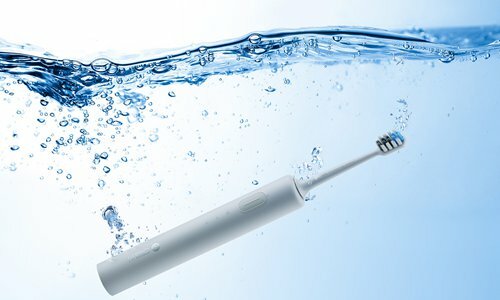 At an experiencing event organized by a domestic technology firm Dr. Bei under the ecosystem of Xiaomi on June 5, the audience was able to experience the company's new sonic toothbrush and its high capability in cleaning one's teeth. 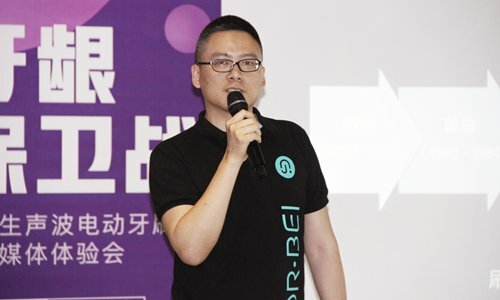 At the event, Zhang Jun, the founder and CEO of Dr. Bei showcased how the company's new product is able to clean and polish a peach without damaging its skin. The highlight of the sonic toothbrush is its soft brush and deep cleaning capability. Dr. Bei offers two types of toothbrushes with different functions. The one that is made by the Japanese company Toray is designed to protect against gum disease, and the other toothbrush created by DuPont focuses more on brightening one's teeth. In addition to the toothbrushes, the small engine inserted in the handle not only provides less noise than other toothbrushes of its kind but is also designed to have a longer life. Since the launch of the electric toothbrush, it has become a popular addition to a healthy lifestyle that more and more people have embraced. However, as the trend grows, Zhang captured what many have often ignored - there are few electric toothbrushes on the market which are catered to Chinese users. "The oral environment between Chinese and Westerners is different due to factors such as varied eating habits," Zhang said. "Westerners' oral cavities are generally stronger than Chinese and have different requirements when it comes to toothbrushes." Noticing that there were very few Chinese customized toothbrushes in China, Zhang and his team spent a year and a half inventing a toothbrush that was customized to the Chinese market, not only with a better performance but also at a more reasonable price.